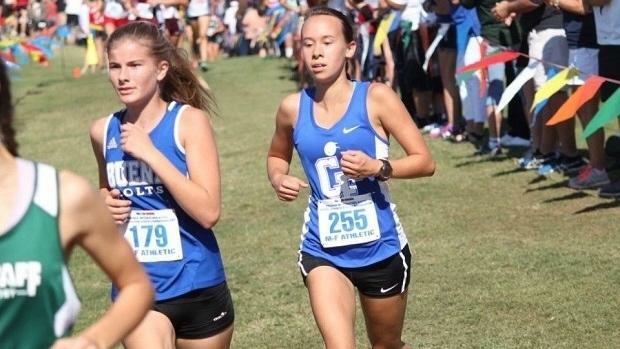 Richelle has some big goals for her Senior cross-country season and has wasted no time chasing after them starting with a win for both her and her team at the Marana Eye of the Tiger Invitational. A week later she nearly broke 19-minutes for the second time in her career at the Desert Solstice Festival. Most recently she placed second in the Division 2 Senior Girls race at the Mt. Carmel XC Invitational with a time of 15:34.6 for 2.75 miles. I was born in Tucson, Arizona and have lived here my whole life. At my elementary school, I decided to try out for the 400m which was the longest track event that my school had offered and won. The thrill of racing and challenging myself was all I needed to realize that I enjoyed running and wanted to continue doing it. I really enjoy speed workouts. My favorites would have to be either 1000 repeats on part of our cross-country course or any repeat of a distance from 200m-400m on the track. What's your favorite memory of cross-country over your high school career? I have made so many amazing memories throughout high school cross country, but if I had to pick my absolute favorite, it would be our 2017 California trip to the Mt. 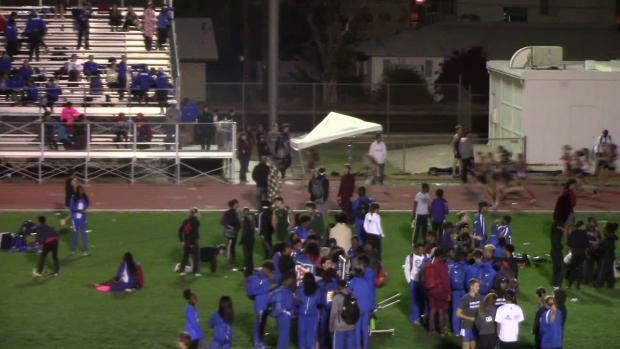 Carmel Invite in San Diego. It was so fun to see everyone dress up in something other than our workout clothes when we all went out for dinner and to have an opportunity to bond with everyone outside of our usual environment. Everyone performed really well at Mt. Carmel and it was the perfect trip on some many levels because everyone grew closer and made even the simplest moments fun. Describe your coach and what he has always affirmed at practices. Do you have a favorite post-race meal? I am never too hungry right after a race, so I usually just eat something light and refreshing like fruit. Do you have any role-models on the team or from years past? What did you learn from them? My former teammate Hannah Whetzel has been a great role-model to me throughout high school. She inspired me to bring our team closer because she was the first person to introduce herself to me, and guide me through the life of high school sports. Having this amazing and kind Senior girl accept me and teach me all of the team's routes and many helpful things inspired me to do the same for any of the new members on our team and to build a positive and friendly environment. What's your favorite thing about running in Tucson? I like running in Tucson because the weather is fairly consistent, which allows us to train year-round. I also like that there are so many trail options and places that are runner friendly. What's your favorite book you've read in school? I am currently reading an interesting book in my English class right now called 1984 by George Orwell. One of the most interesting concepts to think about is that history could easily be altered based on how it is recorded or how people choose to teach it, which is really frightening. If you could go on a long run with any professional athlete who would it be and why? 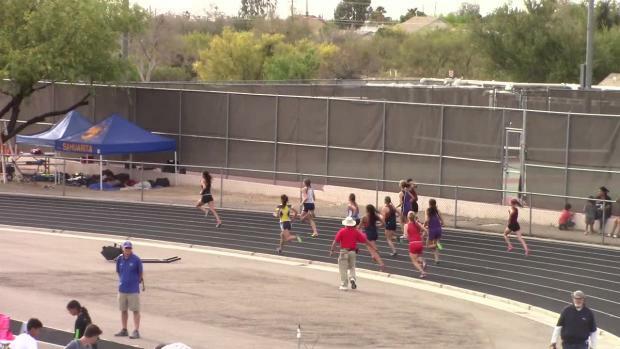 I admire a lot of professional runners, but I think I'd have to choose Brenda Martinez. Her back story is amazing and I really admire her for giving back to the community now that she has made it big. She never forgot her roots or let fame go to her head and uses her own story to inspire other girls to chase their dreams. I feel like she is very wise and would have some incredible stories to share on a run. What's your favorite thing to do outside of running? I love art. Whether it be drawing, painting, drawing digitally, or taking photos, I really enjoy the freedom to create whatever my mind thinks up and to capture moments. Do you have any season goals individually or with your team? Individually, I am hoping to drop my time as much as can, place top three at state, and hopefully qualify for either Nike or Foot Locker Nationals. 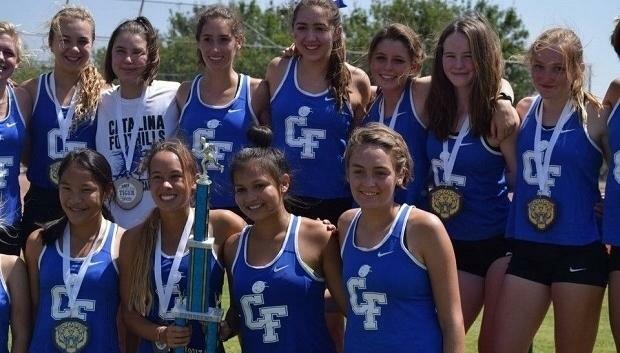 As a team, I have high hopes because we have so many returning athletes who are continuing to work hard and improve and a lot of new girls who are doing well. I think we have a good chance at taking State as a team if everyone continues to stay dedicated and challenge themselves. Do you intend to run any post-season meets? 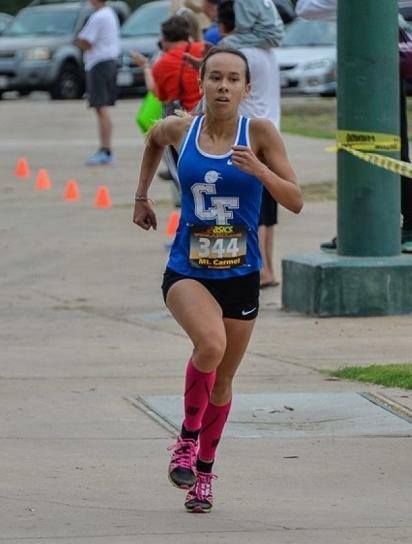 I am planning on running at either Nike Cross Country Regionals or Foot Locker Cross Country Regionals with hopes that I can make it to Nationals in whichever one I decide on. I enjoyed running at NXR in the past, but I have never run at Foot Locker, which is why I am considering trying something new my Senior year.